Colorado Searches of Cell Phones At The Time Of An Arrest – Can They Do That? 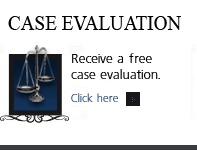 What follows is an analysis of the case and the law. Donald Eugene Taylor was convicted by a jury of conspiracy to distribute a scheduled II controlled substance. At the time of his arrest the police conducted a “warrantless search” of the call history in his cellular telephone which phone was on his person at the time of the arrest. The Colorado Court of Appeals – later upheld by the Colorado Supreme Court ruled that the search of Taylor’s cell phone was a lawful search incident to arrest. Why? The case facts was the classic “buy bust.” Police – in an undercover capacity – set up a deal through the defendant to purchase “[F]orty hard,” – $40 worth of crack cocaine. Defendant used his cell phone to call his source who appeared soon thereafter and entered the car. The deal was made and the money exchanged After the buy – both were arrested. After the arrest – Taylor was searched and his cell phone seized. A police officer opened the call log history of defendant’s cell phone, finding the recent call to the “source.” Taylor was later charged with and convicted of conspiracy to distribute a controlled substance. The Defense lawyer in the case filed a Motion to Suppress the evidence alleging that the search of the cell phone log was unlawful because it was without a warrant. The “take away” rule of law in this case is that: a search of a cell phone’s call history is a lawful search if it is incident to arres. (1) Does a defendant have a reasonable expectation of privacy in his cellular telephone’s call history? (2) Does a police review of the call history constituted a warrantless search within the meaning of the Fourth Amendment? The Fourth Amendment to the United States Constitution and article II, section 7 of the Colorado Constitution provides that a warrantless searches are per se unreasonable unless it falls under a specifically established and delineated exception to the warrant requirement. The burden of proof … always remains with the prosecution to establish that a warrantless search falls within one of the narrowly defined exceptions to the warrant requirement. One well established exception to the Fourth Amendment’s warrant requirement is known as “a search incident to lawful arrest…” which exception allows law enforcement officers, when making a lawful arrest, to search an arrestee’s person and the area within the arrestee’s immediate control. This kind of search requires “no independent justification”, such as a reasonable suspicion or belief that the defendant might be armed or in possession of contraband however – this kind of search – incident to a lawful arrest – MUST BE – contemporaneous with or immediately following the arrest and confined to an area into which the defendant might reach or grab for weapons or evidence. The Taylor Court ruled that a so called “custodial arrest” of a suspect based on probable cause is a reasonable intrusion under the Fourth Amendment as the “intrusion” is a lawful search incident to the arrest and requires no additional justification. The lawful arrest “establishes the authority to search” and a search incident to arrest to the arrestee’s person and areas “within the immediate control” of an arrestee – – which has been expanded and limited by the Court in the years since its inception includes a search of the automobile, the defendant may be in if the search is “contemporaneous” – that is incident to that arrest. Taylor – in his appeal – argued in his motion to suppress that the search of his cellular telephone’s call log violated his right to be free from unlawful searches and seizures under the United States Constitution, Colorado Constitution, and Colorado statutes. Whenever an appellate court “reasons” it’s way to a conclusion – they use other court’s opinions to justify that reasoning..
Colorado Searches of Cell Phones At The Time Of An Arrest – Can They Do That? – The Conclusion – Yes and NO. The Colorado Court of Appeal concluded that a search of the call history of a cellular telephone on the person of the arrestee is a lawful search incident to arrest. 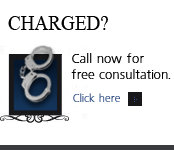 Put another way – a warrantless search of an arrested suspect’s cell phone log is constitutional as long as it is a search incident to arrest – after the phone is removed from his possession following arrest and then immediately searched at the scene. When a suspect’s cell phone is removed from his person after his lawful custodial arrest and the call history is searched to confirm a drug deal – the search was a lawful warrantless search incident to arrest and therefore legal. 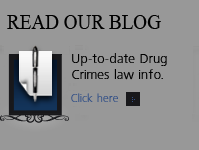 While the opinion is not limited to drug trafficking cases – the Court said that “warrantless searches of cell phones in cases involving drug-trafficking, where evidence of the crime is likely stored on the phones” is permitted. We recognize that many modern cell phones, tablets, and other personal electronic devices, like computers, are capable of storing and accessing large amounts of personal information, and we are aware of the concerns of other courts regarding searches for information contained in these devices. Today, in the very different context of mobile phones and related devices, that balance must be newly evaluated….and that giving officers unbridled discretion to rummage through at will the entire contents of one’s cell phone, …where there is no basis for believing evidence of the crime of arrest will be found on the phone, creates a serious and recurring threat to the privacy of countless individuals. Were we free to do so, we would find, given the advancement of technology with regards to cell phones and other similar portable electronic devices, officers may only search cell phones incident to arrest if it is reasonable to believe evidence relevant to the crime of arrest might be found on the phone. This opinion permits the limited search of ONLY the cell phone logs at the scene… nothing more – as for the future – other Colorado Searches of Cell Phones At The Time Of An Arrest remains as described – off limits without a search warrant.